The 2018 parade theme is Capture the Magic. Parade will go South on Main Street starting at the Rockingham County Office Buildings. The parade begins at 7:00pm at the Rockingham County Office Building on Gay St and ends at City Hall. For the best view of the parade, spectators are encouraged to watch the parade along Main Street from Gay Street to City Hall. *Bands and walking groups will end at City Hall. Floats and vehicles will loop around to Grattan Street. 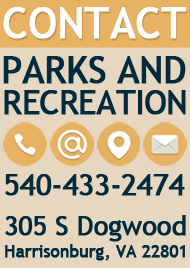 Please Note: Harrisonburg Parks and Recreation staff have decided to remove the judging component from the parade to better provide an event that promotes gathering together as a community and celebrating the holiday season. 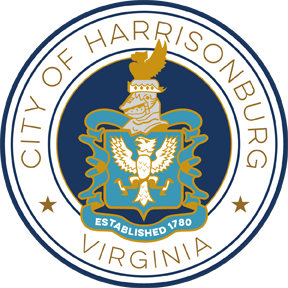 For more information contact Scott Erickson at 540-433-9168 or Scott.Erickson@harrisonburgva.gov. There will be a tree lighting ceremony in Court Square, followed by a holiday concert performed by the JMU Marching Royal Dukes. Street Closures: Both lanes of Main Street, from Martin Luther King, Jr. Way to Gay Street, will be closed along with Court Square and Gay Street, from Mason Street to Noll Drive. These specific streets will be closed from 5:00pm until approximately 11:00pm. Newman Avenue parking lot will be reserved for handicap parking only.